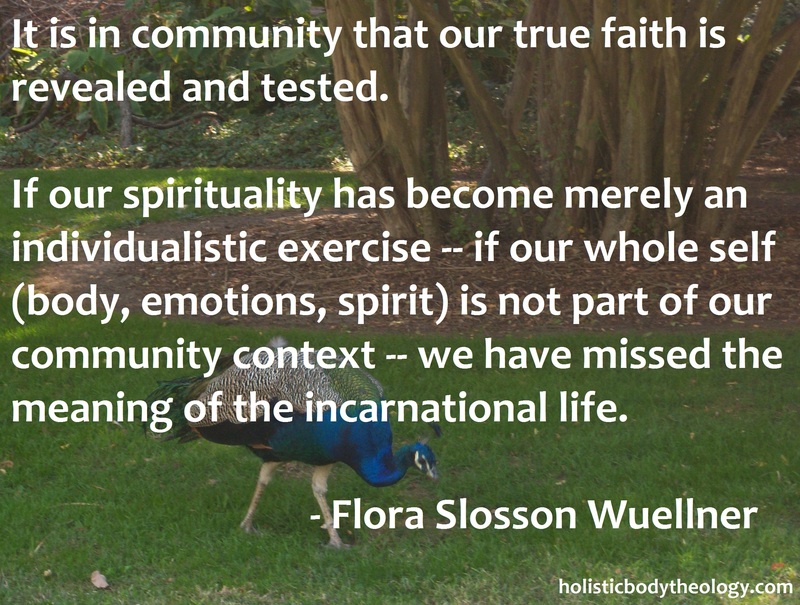 Posted on June 5, 2013, in Body of CHRIST, Community, Identity, Incarnation of Christ, Spirituality and tagged Community, Flora Slosson Wuellner, Personal development, Prayer and Our Bodies. Bookmark the permalink. Leave a comment.